Has Selfie Marketing Gone Too Far? 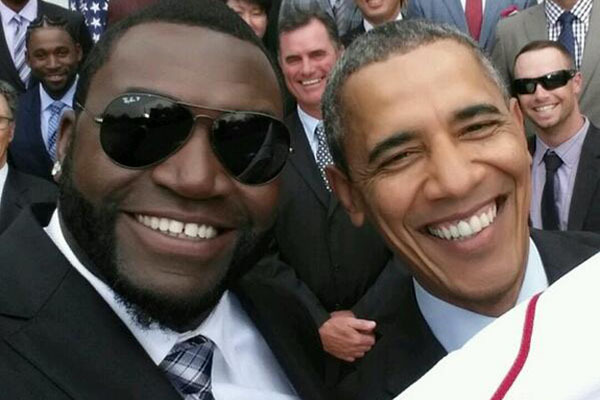 Marketers have always co-opted youth culture for their benefit, but perhaps the recent Samsung commissioned selfie with David Ortiz and President Obama crossed the line. President Barack Obama is arguably the king of the selfie, as Ellen DeGeneres is its queen. But with Samsung’s recent disclosure that the Obama-Ortiz selfie was not a spur of the moment snapshot but a paid marketing stunt, The White House is considering a ban future presidential selfies. 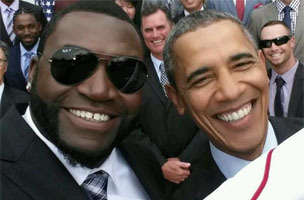 David Ortiz, hitter for the Boston Red Sox, took the selfie with Obama a little over a week ago when the team visited The White House. It was later revealed that Ortiz had a deal with Samsung to capture high-profile pictures with celebrities to market the Galaxy Note 3 smartphone. “Someone who uses the President’s likeness to promote a product… that’s a problem with The White House,” said Dan Pfeiffer, White House senior adviser, on CBS’ Face The Nation. Obama also caught heat for a selfie at Nelson Mandela’s memorial service, but this isn’t the first time a president has used technology to his advantage. Franklin D. Roosevelt had his radio fireside chats, John F. Kennedy was called the first TV President and even George W. Bush had a podcast. Now, Obama has selfies, AMAs and “Between Two Ferns.” Technology and the presidency go hand in hand. But maybe, the problem is the concept of selfie marketing in and of itself. Kate Knibbs, a writer for The Daily Dot, points out that Samsung is merely co-opting youth culture for profit. And the topic of selfies is ripe for commercially exploitation. “It underlines that marketing teams are getting even better at identifying ways to interject commercial advertising into unexpected places,” she writes. Samsung’s practice of getting celebrities to pose for selfies and then reaping the viral rewards is neither genius nor moronic. Why not hand out phones to social media’s power users? With DeGeneres creating the world’s most-retweeted selfie, and a myriad of posts discussing Samsung’s involvement, it seems like a win-win.